Nintendo announced on Thursday that this fall it will be releasing the Nintendo Classic Mini: Nintendo Entertainment System. 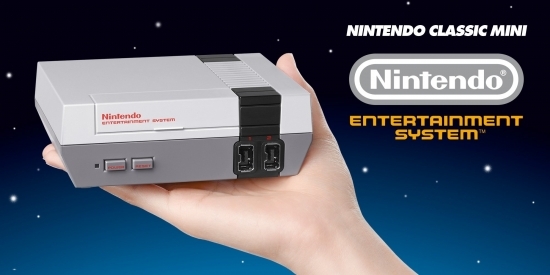 It is a mini-replica of the original 1985 NES console. This box will come with a HDMI cable to plug into your HDTV and one Nintendo Classic Mini: NES Controller. It will also come preloaded with 30 popular NES games such as the Super Mario Bros. trilogy, Zelda I and II, Punch Out, Tecmo Bowl, Excitebike, Metroid, Donky Kong, and more. You'll be able to save your progress in certain games right on the console and come back later to continue your game.